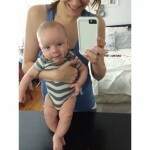 Last Updated: August 6, 2014 By Katie 55 Comments -- Paid Promotion. Disclosure policy here. Hey guys! 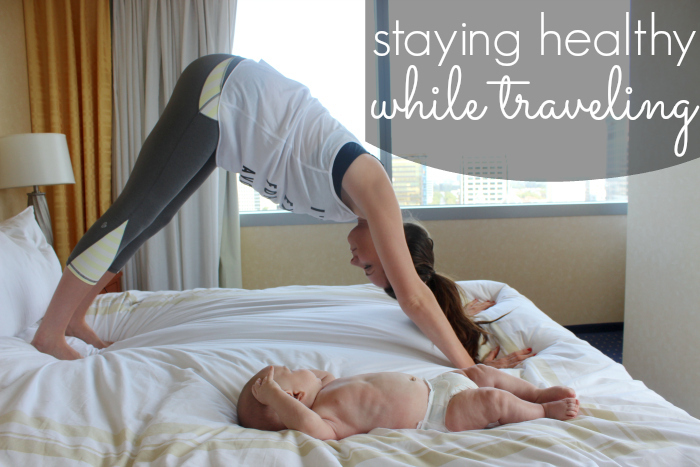 Today I wanted to share a few of my tips on how to stay healthy while traveling. We just got back from our first little trip as a family, and I can attest that it is definitely more of a challenge traveling with a wee one than it was before! But also way more fun! ;) You just have to make sure to do things earlier in the day, because once bedtime rolls around you’re pretty much stuck in the hotel room. Which, I’m not complaining about, especially since our view of the city was so beautiful and we just kicked back and watched the lights and airplanes flying in. But I guess our days of late night galavanting and adventuring are over, at least for a little while. Anyway, I’m getting sidetracked. Let’s get into those healthy travel tips, shall we! 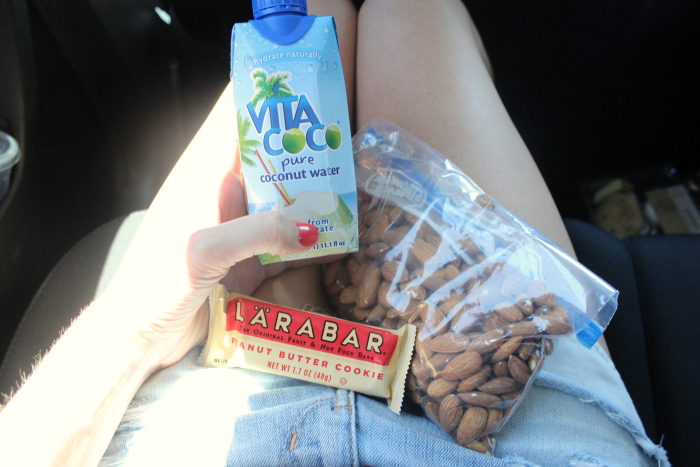 Nuts, bars, fruit- anything to satisfy the munchies or fill you up without making you resort to greasy fast food. I love me some Lärabars- be sure to keep reading to the end of this post for your chance to win a box for yourself! With the hustle and bustle of travel, it can be easy to forget even the most simply thing: To drink water! Always have a bottle of H2O with you and be sure to drink it- often! Coconut water is super hydrating, too. It’s definitely an acquired taste- I didn’t like it at first- but it’s grown on me! There is a gym in many hotels- take advantage of it! Walk around this new place you’re visiting and explore! 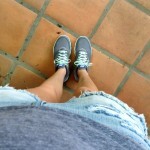 The best way to see a foreign place is to just get out and start walking! Chances are you’ll stumble upon some neat off-the-beaten-path places, and you’ll get a great workout in, to boot! You can read menus and reviews ahead of time and plan accordingly. Yay for Yelp. Swimming is one of the best workouts for the total body, plus it’s fun! It’s a great way to enjoy being healthy with the whole family, too! So we stayed on the 17th floor, and we still took the stairs all the way down one day, just for fun and because we knew it would be a good workout. Plus, we didn’t have Sam (Zack’s parents were watching him) so that made it a little easier. So there you go. My tips for how to stay healthy while traveling. Today we’re giving away a box of 16 mixed LÄRABARS to one lucky winner! EDIT: Congrats Brittany Knoll! Check your email! p.s. 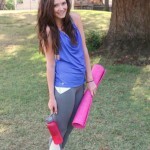 Check this post to see if you won the Lorna Jane giveaway! – Add the direct link to your post (not your homepage) below. 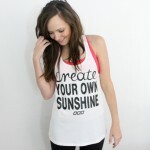 – Link back to me (either this page or my homepage) in the body of your post- something like “Linking up with Katie Did What for Healthy Habits!” with a link is fine! – You can add the button above by just copying the HTML in that box and adding it to the body of your blog post. – Mingle with other linkers and get to know some new blog friends! I liked Larabar on Facebook.